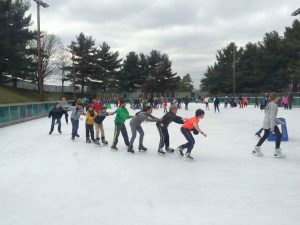 What’s better than a fun night out with fellow ECS parents and caregivers? One that also helps the teachers’ biggest wish come true: more coffee! The Staff Appreciation committee is hosting a cocktail party at the Wigle Whiskey Distillery in the Strip District on Friday, April 26th from 6 to 9 pm. 10% of all drink and bottle sales will go directly towards supplementing the ECS staff’s supply of coffee to help get them through the rest of the year. And I think we can all agree, they deserve it! 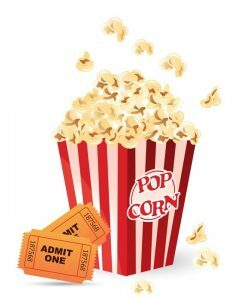 Light snacks will be provided (and pretzels available for purchase from Axel’s Pretzels). Plus you’ll have a chance to win a bottle of delicious Wigle’s Coffee Liquor and two tour passes. So line up a sitter–or make it a girls’/guys’ night out–and please join us for this stimulating cause. RSVPs are helpful, but not required. If you can’t attend but still want to donate, you may do so here. Thank you! The PCO is collecting clean, gently used uniform clothing starting April 23 through May 3. Please place your donations in the collection bins in both school buildings. We will offer clothing for sale at the PCO’s Uniform Re-use Market ($2/item) at Earth Nite on May 3 in the Upper School Cafe. Cash, checks, and credit cards accepted. Contact uniforms@ecspco.org with any questions. 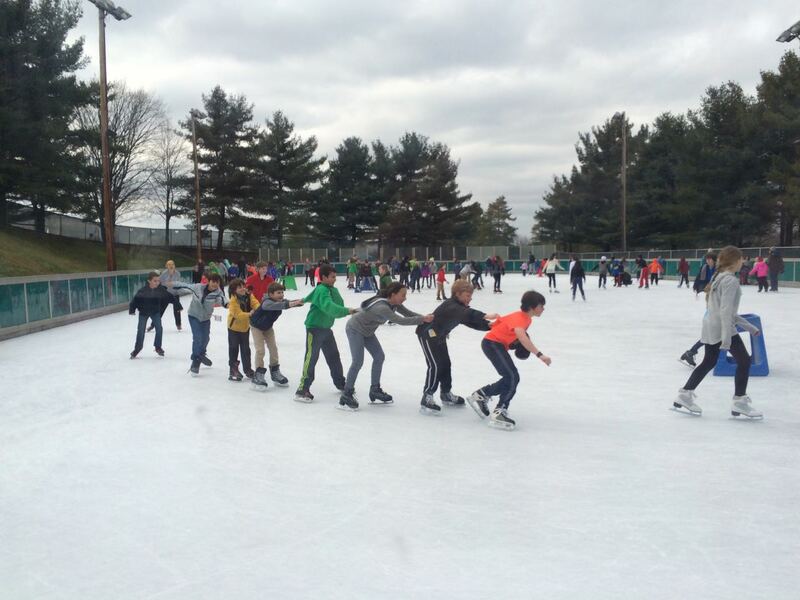 The PCO’s Winter Family Game Night will be held on Friday, February 8. 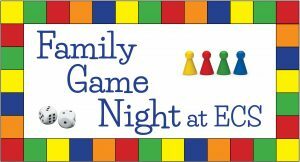 Join ECS families for an evening of board games and FREE PIZZA (limit of 2-3 slices per person). We will have some board games available for all ages, and we encourage you to also bring your own games to enjoy. Bring some cash for the bake sale and the game raffle. NEW: Games Unlimited (located on Murray Ave in Squirrel Hill) will be on hand to provide a game demonstration! Sign up to volunteer or donate to the bake sale. Hey ECS community, join us for the next PCO meeting on Thursday, February 7th from 6:30-8 in the Upper School Cafe to discuss and plan for the future of the PCO. How do you want the PCO to evolve with expansion? What can we do better? What activities do you want to see? Do you have fresh new ideas for the PCO? Would you like to be more involved? We need your help and ideas to make this next phase of life for the PCO bigger and better than ever! Please join us and bring your ideas. Free pizza and childcare will be provided. Any questions, please contact parents@ecspco.org. All ECS families are invited to the next PCO meeting on Thursday, January 10 at 6:30-8:30pm in the Upper School Cafe. Please join us for a discussion about the process of teacher unionization. Free childcare will be provided for school-aged children, and we’ll also have pizza available for all. Questions? Email parents@ecspco.org. 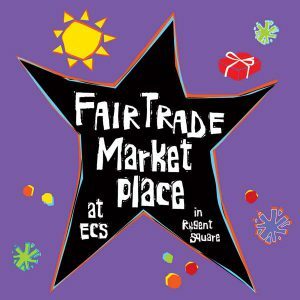 Each year, the PCO brings the Fair Trade Marketplace to ECS. This holiday gift shop will be open in the ECS Upper School Cafe on December 1-2. You will find a selection of fair trade, sustainable, affordable gifts for socially and environmentally responsible holiday gift giving. We invite children to the Chickadee’s Nest where they can shop independently for gifts under $10. All items are made by artisans around the world who are paid fairly for their work. Enjoy some soup and baked goods after you shop. Open to the public! Sign up to volunteer. 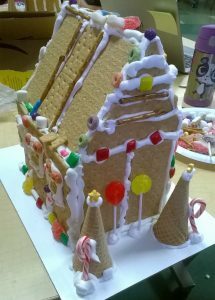 The PCO’s annual Gingerbread House event will take place on Saturday, Dec 8. There will be two sessions, 10am-12pm and 1pm-3pm. This is a fun activity for the whole family. We provide the supplies, you bring your imagination! Register now. Sign up to send in supplies, donate a pie or volunteer for the Upper School Harvest Feast on Tuesday, November 20.